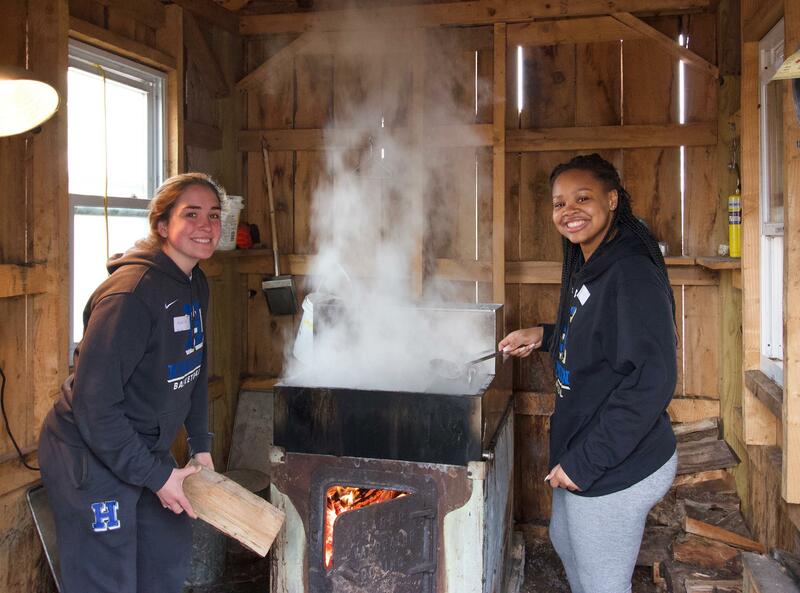 Women’s Basketball at Root Farm making maple syrup. MacKenzie Aldridge '20 and Kayla Glemaud '21. 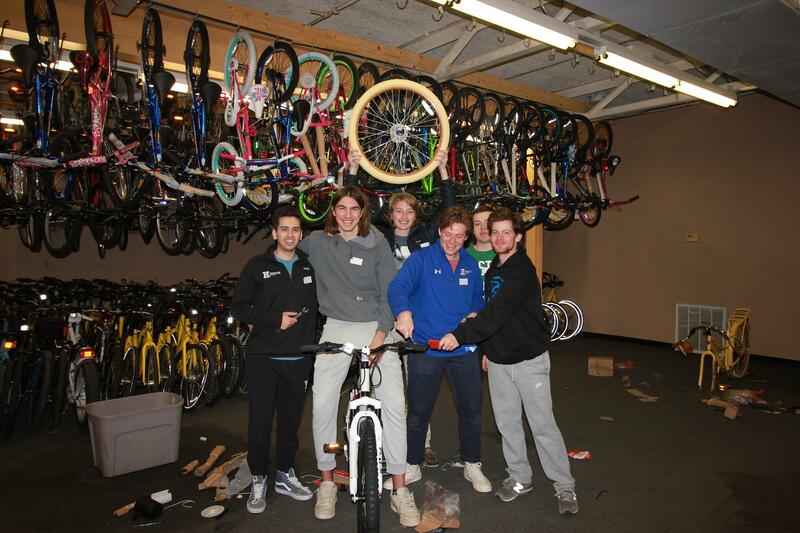 Men’s Squash at Build-a-Bike in Utica. Women’s Basketball at Root Farm in Sauquoit. Women's hockey players at Sculpture Space in Utica. 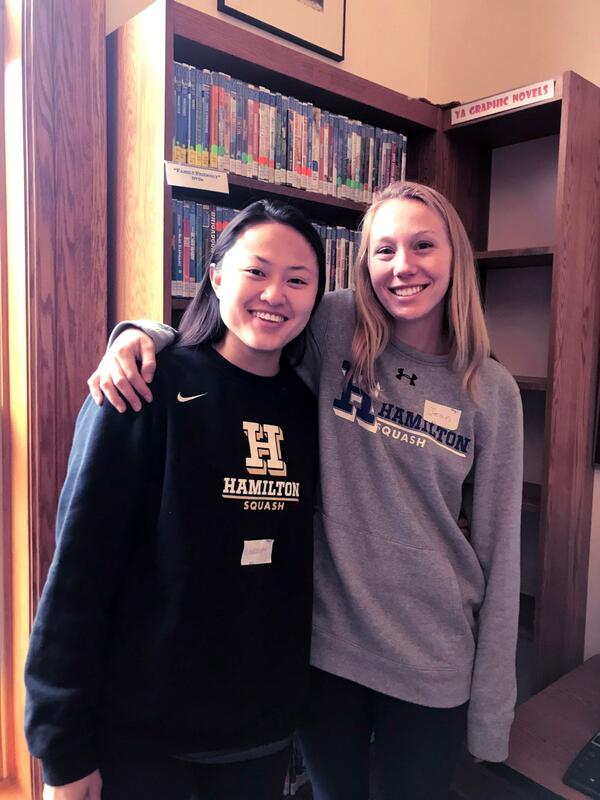 Women’s Squash at Kirkland Town Library, Lindsay Jadow '19 and Jean Beecher '19. 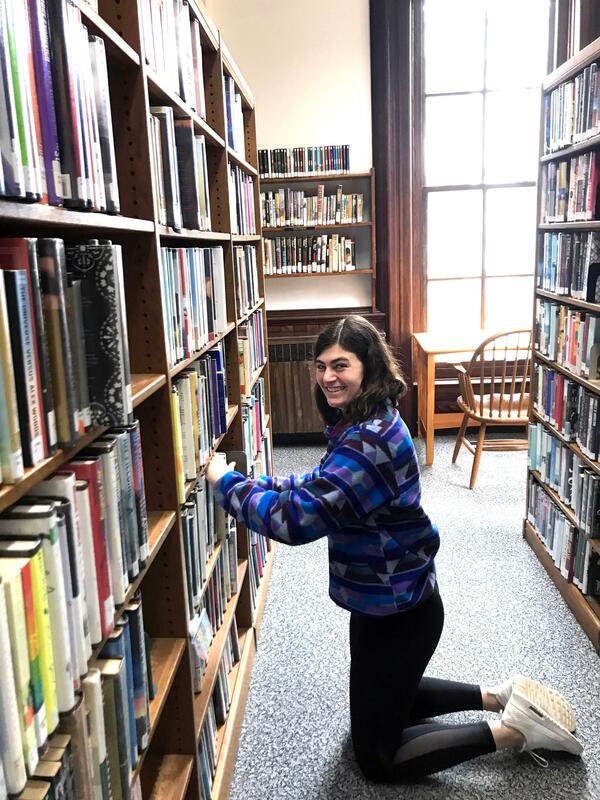 Sydney Soloway '22 of the Women’s Squash team at Kirkland Town Library. 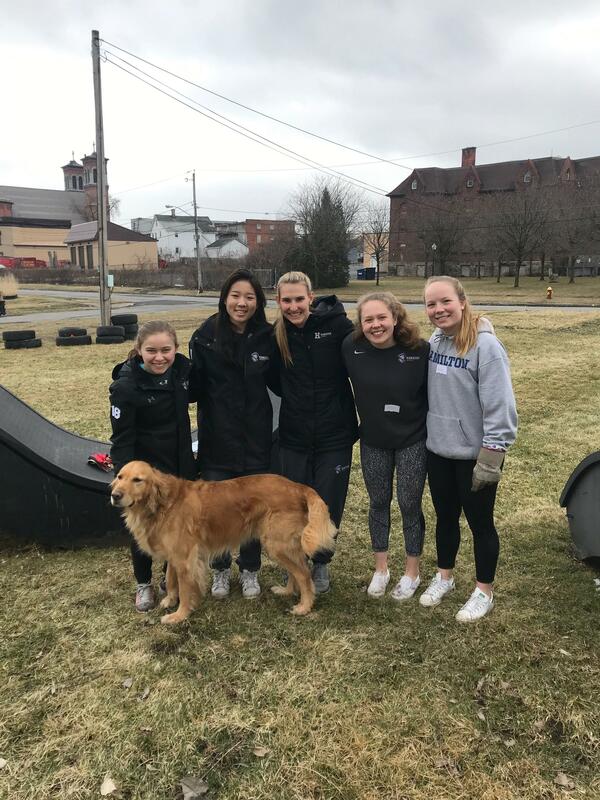 On April 6, 120 student-athletes volunteered at 18 different community partners in Clinton, Rome, Utica, and Sauquoit as part of the 2nd Annual SAAC (Student-Athlete Advisory Committee)/COOP (Community Outreach & Opportunity Project) Day of Service. 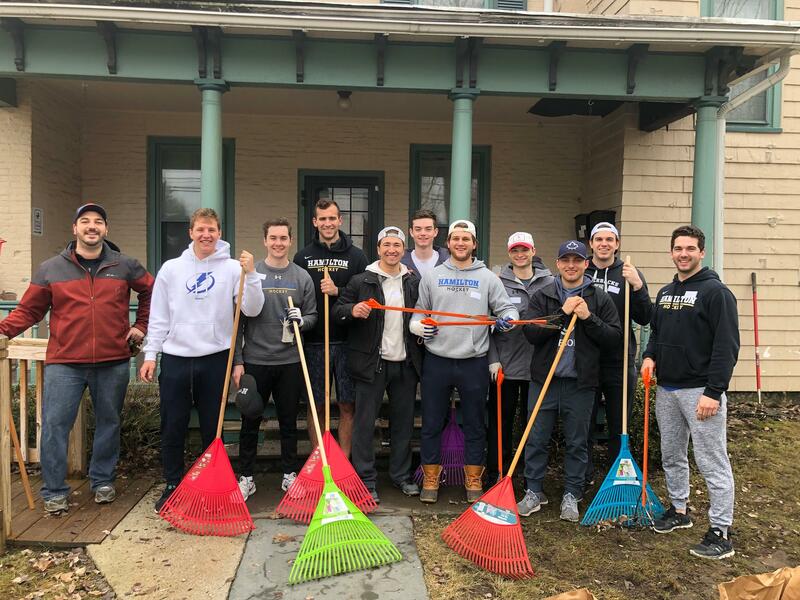 The initiative was part of the larger NCAA Division III Week of Service in which groups volunteered at local community partners, including the Thea Bowman House in Utica, and Special Olympics in Rome. 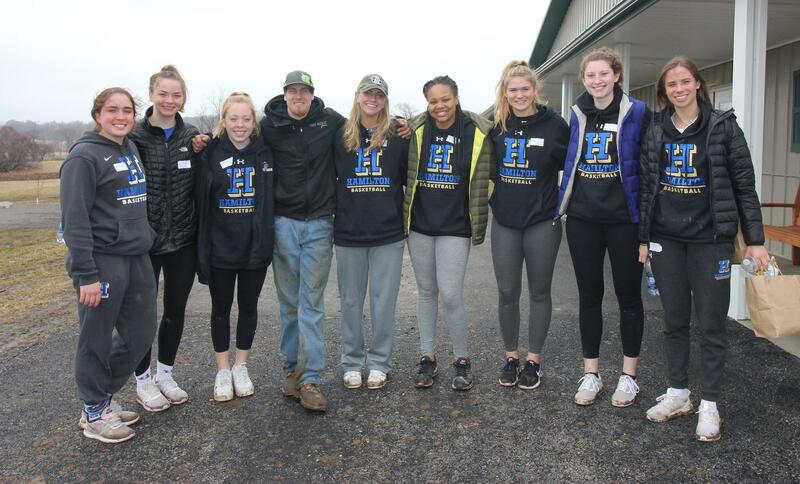 Julia Booth ’19, COOP Senior Fellow and SAAC vice president who organized the Week of Service, said, “Although our student-athletes are already involved in so many things, it's fun to volunteer as a group, not to mention good team bonding, and our groups really experienced that on Saturday. Community partners appreciate the athletes’ efforts. 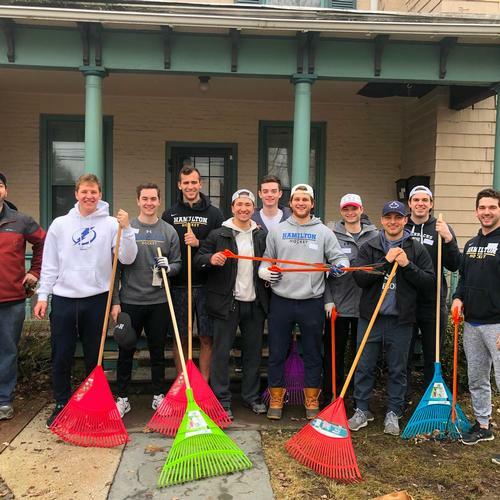 Rome Clean & Green’s Chris Lambe said, "Ian and the hockey team were a huge help and made an incredible impact today cleaning up the Rome Clean & Green building. I can’t speak highly enough of the work ethic and effort of the whole crew. We truly appreciate the help to make our community a better place to live." Field hockey player and student volunteer Cat Donahue ’21 said the student-athletes enjoy the day too. "Mother Marianne's West Side Kitchen was such a fun and friendly environment. All the other volunteers were so welcoming, and Ed, the coordinator, took us on a tour of the non-profit space,” said Donahue. “It felt so good to be able to make a visible difference and to interact with the kitchen patrons. 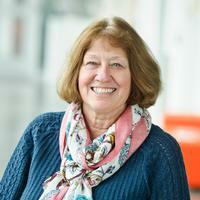 Overall it was a really rewarding experience and we were glad to be able to help out!"